The work of CALPHO and its partners is not unique to Colorado. We are part of broader national movements of public health organizations coordinating sweeping changes to local, state, and national public health systems. These movements inform most CALPHO initiatives, policy priorities, and research efforts. Below are some of the national organizations and thought leaders driving new visions for the future of public health, as well as some of the forward-thinking publications they have produced. ​National Association of County & City Health Officials (NACCHO) – represents over 2800 local public health agencies across the country and leads public health change efforts. CALPHO is the state affiliate of NACCHO. Government Alliance on Race & Equity (GARE) – a national network of government working to achieve racial equity and advance opportunities for all. ​Public Health Accreditation Board (PHAB) – oversees the rigorous national accreditation process, driving the adoption of evidence-based, universal standards. Public Health National Center for Innovations (PHNCI)– serves as the national headquarters for empowering health departments to drive change and improve health. Institute for Alternative Futures (IAF)– a think-tank that considers how our social, economic, and governmental systems might evolve in the decades to come. 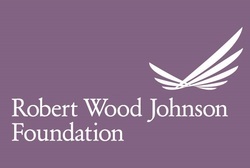 ​Robert Wood Johnson Foundation (RWJF)– the leading funder of public health transformation, and convener of forward-thinking public health events, often in partnership with the other organizations listed here. Human Impact Partners (HIP) – their mission is to transform the policies and places people need to live healthy lives by increasing the consideration of health and equity in decision-making. Trust for America's Health – a non-profit, non-partisan organization dedicated to saving lives by protecting the health of every community and working to make disease prevention a national priority.